The 2nd International Conference on Science at Free Electron Lasers (Science@FELs) took place on the 15-17 September 2014 at the Paul Scherrer Institute (PSI), Villigen, Switzerland, bringing together over 150 international scientist and students from Japan, Republic of Korea, Iran, India, USA and Europe. 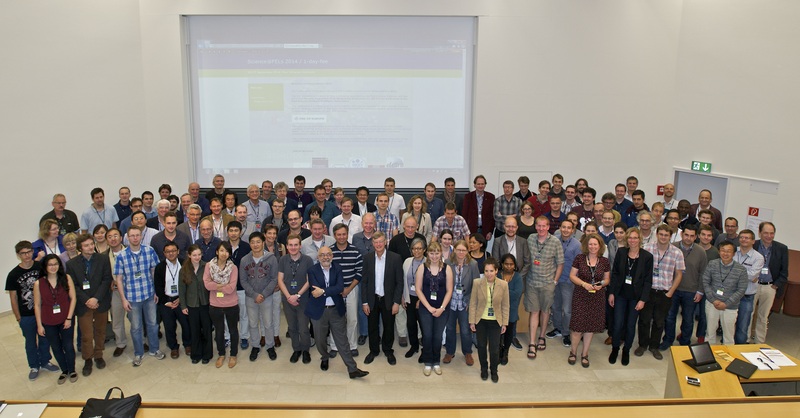 The conference which focused on the scientific highlights achieved during the last years in the fast evolving field of free electron lasers, was a follow up of the Science@FELs 2012 jointly organized by DESY and the European XFEL in Hamburg, Germany, in July 2012 and is henceforth being organized regularly (every two years) as an activity of the Free Electron Lasers of Europe (FELs OF EUROPE). Science@FELs 2014 was organized into two parts, with the first part (first two sessions) dedicated for lectures to students by renowned experts. The lectures focussed on X-ray FELs and their potential to revolutionize scientific research such as in high energy density science and crystallography. The highly educative lectures were well received by the students many of whom expressed the desire to see such integration into subsequent conferences. During the second part, eight sessions comprising of keynote talks, presentations and poster session were conducted. The talks covered a wide range of topics - Biology, Chemistry, Condensed Matter, Matter under Extreme Conditions, Theory, Atomic and Molecular Systems, and New Developments. Another highlight of the conference was a scheduled visit to the large scale facilities at PSI which include the Swiss Light Source, the construction site of the Swiss Free Electron Laser (SwissFEL) where construction is on-going, and the SwissFEL test facility. The next conference is scheduled to take place in 2016 in Trieste, Italy.